Just a couple of notes on our holiday hours. We’ll be open Saturday, December 22nd from 10am – 4pm. These are our normal Saturday hours. We’ll be closed on Sunday, December 23rd. We are also normally closed on Sundays. We will be closed on Monday, December 24th for Christmas Eve and Tuesday, December 25th for Christmas Day. We will also be closed Monday, December 31st for New Year’s Eve and Tuesday, January 1st, 2019 for New Year’s Day. We’ll be back to normal hours on Wednesday, January 2, 2019. 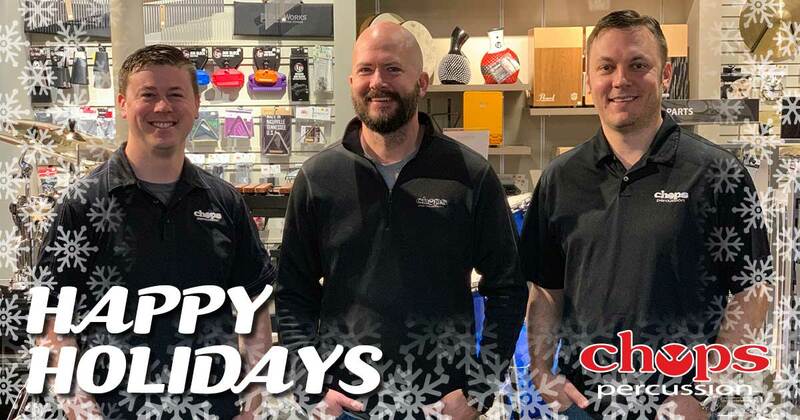 Happy Holidays from all of us at Chops Percussion! Here’s to a great 2019! As the new year approaches, your program is likely going into the busiest time of year with concert band, solo and ensemble, jazz band and indoor percussion all happening at the same time. Often times you may not think about taking a little extra time to do a thorough inspection of your gear, but it will go a long way in getting the most out of your investment. Now is a great time to do some general equipment maintenance and cleaning that can ensure you are ready for the busy months ahead. Having your students actively participate in this process will help them take pride over equipment that will be used long after they leave your program and can help the process move along faster and seem less overwhelming. Take an inventory of all your equipment at the end of each semester. Clean all equipment using a soft cloth to remove any dirt or grime that has built up over time. A small amount of diluted rubbing alcohol can help remove major build-up. Inspect your instruments for any missing parts. Check for broken or damaged areas on your equipment that may require repair or replacement. Ensure that all frame bolts, nuts, carrier parts, etc. are at the correct tightness. 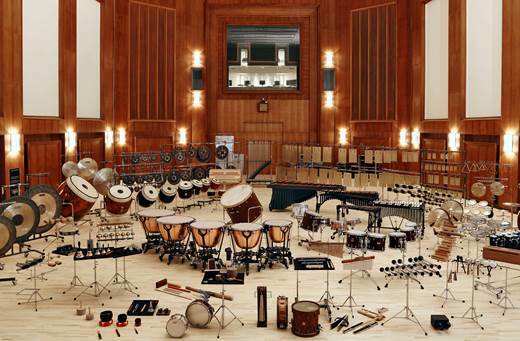 Cover all instruments daily and keep small instruments stored properly. Don’t leave equipment on the truck for long periods of time. If you are in need of parts or more tips call us today and we can help you get everything you need to make sure you are ready to go for 2019!